Having grown up on a working sheep farm, I have witnessed thousands of sheep be sheared safely and professionally. So it really bothers me when organisations like PETA suggest it is a “violent and terrifying process”. 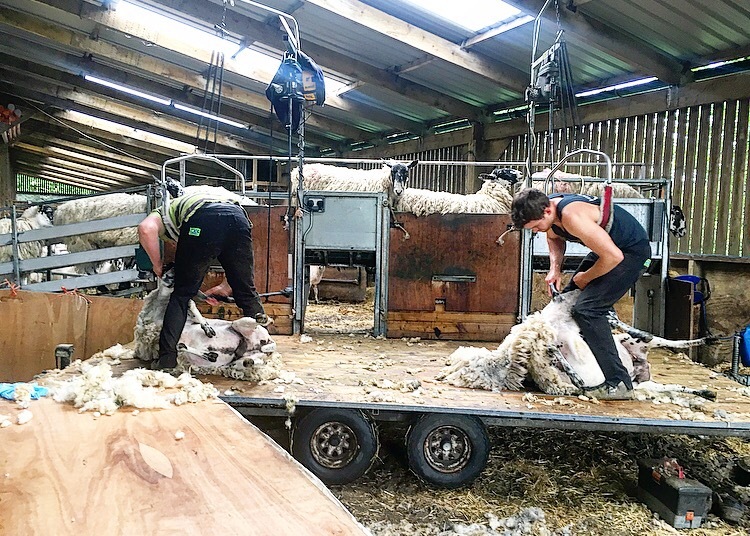 So I thought what better way to counter these myths and misconceptions by documenting an accurate account of one afternoon in a shearing shed in Lancashire, UK. The videos and photographs have not been altered/photoshopped so what you see is what actually happens for yourself. Here is a video of one of our ewes being clipped. This is a typical example of how sheep are sheared. Seth, our local shearer, completes the task in one minute and eleven seconds. This may not be the quickest time but notice how the sheep is relaxed and unharmed by the process. Farmers usually hire skilled and patient shearers who care for the welfare of the sheep – after all it is their livelihood in the shearers’ hands! If a shearer is careless and unprofessional, word of mouth gets arounds and they simply would not get any business. No farmer would hire someone who physically abuses their sheep! 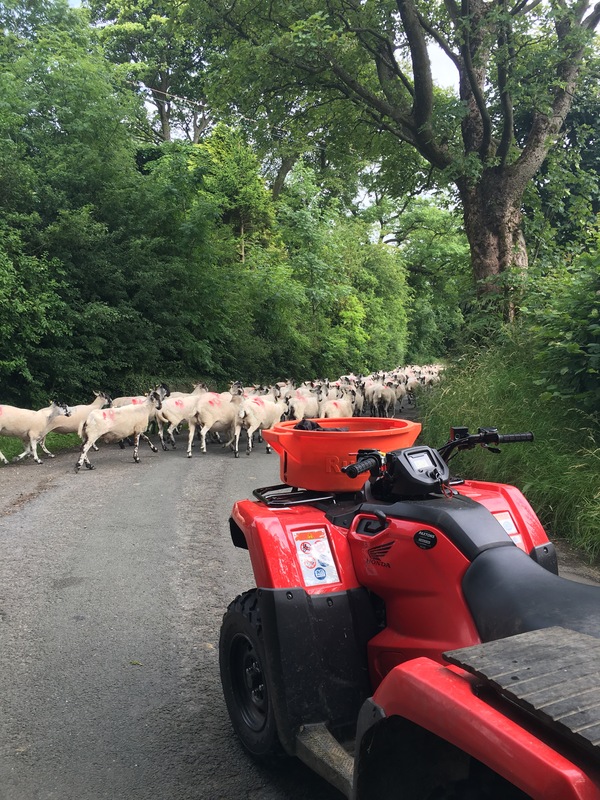 I have yet to encounter a shearer who attempts “fast work without regard for the sheep’s welfare” – possibly because shearers are often from farming backgrounds themselves and so understand the animals they are dealing with. Therefore they look after the animals as if they are their own, taking extra care and time rather than rushing to “get the most sheep done”. So it is clear that shearers pay individual attention to the sheep, in order to complete the task to the best of their ability whilst considering the welfare of the sheep, such as moving the sheep into a more comfortable position mid shear. Sheep often move when being sheared but it is rare that shearers actually cut them. If the sheep is injured, farmers and shearers work together to treat it immediately. It is nonsense that sheep are left to bleed out or that shearers quickly do a botch job of the stitching to save wasting time – every sheep is cared for on our farm without a time limit! Shearing sheep also provides farmers with a chance to check their sheeps health. We can clearly identify which sheep is lame/has a bad bag whilst it is being sheared and so mark it with spray so that we can treat it afterwards. So shearing sheep actually helps us to identify any health problems the sheep may have and treat it as soon as possible. Once sheared, the wool is wrapped. Notice the lack of blood gushing from limbs?! Here is a video of me showing you how to do it (not my best or quickest attempt but you get the gist). Below is a before and after photograph of wool wrapping. The wool once wrapped goes into wool bags which are then stitched and labelled so that the British Wool Board knows where the wool has come from and who to pay! Nowadays wool does not bring a lot of profit to a farmer, especially after paying the shearers and labourers. 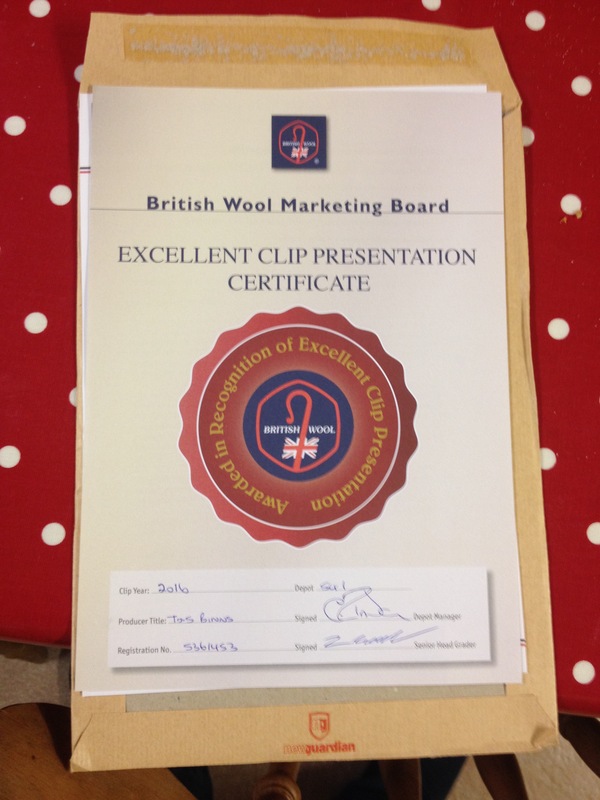 The best reward sheep farmers can get from wool is receiving this certificate! So the idea that sheep are shorn for ‘monetary motives’ seems bizarre, given the lack of a profit margin within in the wool industry. WHY DO FARMERS SHEAR SHEEP? Sheep farmers shear their sheep usually once a year during the summer months when the temperatures become hot. Prevents buildup of manure and urine that can lead to parasitic infection and flystrike- long fleeces are likely to become dirty and drag along the ground. Allows adequate wool regrowth which improve the sheep’s ability to control its body temperature during extreme heat and cold conditions. Creates a clean environment for newborn lambs. Decreases the chance of heat stress. It is crucial to shear sheep annually for the sake of their health and not to do so would be incredibly cruel! Therefore farmers (who always put the welfare of their animals first) simply HAVE to shear their sheep otherwise it would be detrimental to their flocks health. Thus farmers and sheep shearers CARE for the welfare of the animals over any monetary motivations, which is why they shear their sheep. I hope you have found this blog post informative and let me know if you have any more questions about sheep shearing! Many thanks for this very informative blog Hannah. I’m going to share it with my readers. Thank you. Sadly, I suspect that most of those reading this will already understand but I hope it does get out to some of those who are taken in by PETA et al. Well done Hannah. It’s a shame that you and people like you have had to ‘justify’ this annual part of the farming calendar. Why anyone would condemn a whole industry because of one or two videos (taken God knows where, because I wouldn’t let such idiots near my sheep) is beyond me. It would be like shutting down the NHS because of one or two unnecessary deaths. But then PETA have an agenda which is a long way from Animal welfare. Thanks Janet! You’ve hit the nail on the head but I’m more than happy to ‘justify’ if my blog helps connects one person with the reality’s of 21st century farming! Excellent. Absolutely fascinating. Thank you, thank you times three!! Thank you – i’m glad you found the day in the shearing shed as interesting as I do!